SFP(small form-factor pluggable) transceivers compact, hot-pluggable transceiver used for bothtelecommunication and data communications applications. They are an interface with a motherboard, router, switch or optical media converter. Link connection into a fiber optic or copper cabling. SFP transceivers are designed to support SONNET, Fiber Channel, Gigabit Ethernet or similar standards. 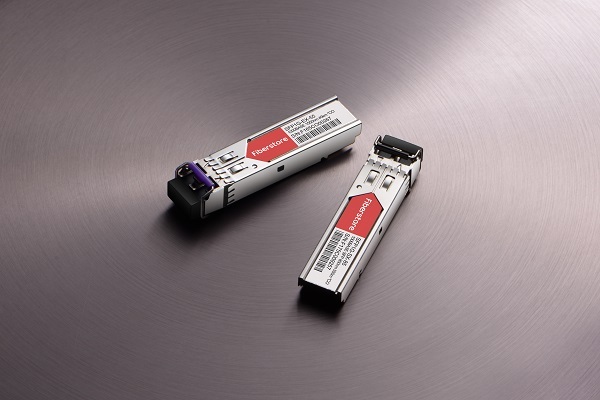 There are both multi-mode and single mode SFP transceiver types. There are also many vendors manufacturing SFP transceivers like major brand Cisco. Cisco SFP transceivers also have Cisco multi-mode SFP and Cisco single mode SFP transceiver types. The following text will mainly focus on Cisco single mode SFP. The industry-standard Cisco SFP transceivers are mainly used to link equipment in telecommunication and data communications like switches and routers. They support applications like 2G/4G Fiber Channel, SONET/SDH Network, Gigabit Ethernet, High-speed computer links, and with CWDM and DWDM interfaces. Cisco SFP have many types, such as 1000BASE-T, 1000BASE-SX, 1000BASE-LX/LH, 1000BASE-EX, 1000BASE-ZX, or 1000BASE-BX10-D/U on a port-by-port basis. Among them, 1000BASE-T SFP operates on standard Cat 5 UTP copper cabling of link lengths up to 100 m; 1000BASE-SX SFP only operates on multimode fibers; 1000BASE-LX/LH SFP operates on standard single-mode fiber-optic link spans of up to 10 km and up to 550 m on any multimode fibers; 1000BASE-EX SFP only operates on long reach standard single-mode fibers; 1000BASE-ZX SFP operates on long-reach standard single-mode fibers; 1000BASE-BX10-D and 1000BASE-BX10-U SFP operate on a single strand of standard SMF. So we can see that Cisco single mode SFP consists of 1000BASE-EX SFP, 1000BASE-ZX SFP, 1000BASE-BX10-D and 1000BASE-BX10-U SFP. Cisco single mode SFP has much tighter tolerances for optics used. The core is smaller and the laser wavelength is narrower. This means that SMF has the capability for higher bandwidth and much longer distances in transmission. 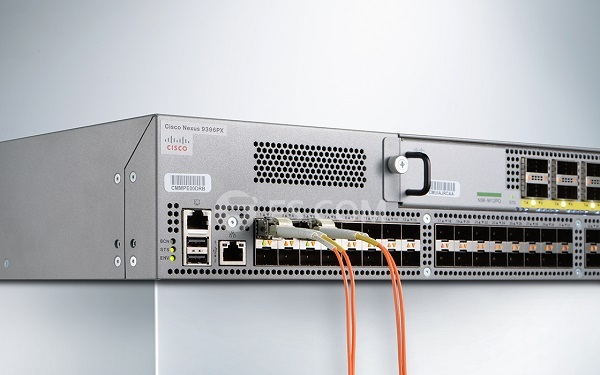 Cisco single mode SFP (SMF SFP) work mainly in 1310nm and 1550nm wavelength and is mostly used in long distances transmission environment reaching 2km, 10km, 40km, 60km, 80km and 120km. The color coded bale clasp and color arrow on label are generally blue, yellow or purple. And the color of compatible fiber optic patch cord is yellow. Here is a specification chart of Cisco single mode SFP transceivers. From the above introduction, you must have a well understanding about Cisco single mode SFP. When choosing SFP modules, you should consider whether it matches the switch port and the cable you have prepared. If you have multimode cable, then you can choose 1000BASE-SX or 1000BASE-LX/LH SFP. If you use single-mode fiber cable, you should select what I’ve mentioned above. While if your cable is copper category, you have to use 1000BASE-T SFP such as GLC-T SFP. On condition that your budget doesn’t allow you to buy original brand module, you can buy the third-party optics from FS.COM with Cisco, Avago, HP and other compatible brands. All the optics have gone through test for 100% compatibility. This entry was posted in Fiber Optical Transceivers and tagged Cisco SFP, Cisco Single Mode SFP, SFP Transceiver on January 5, 2018 by Admin.